iRobot Roomba 960 vs iRobot Roomba 890 vs iRobot Roomba 980 vs iRobot Roomba 870 vs iRobot Roomba 665: Which one is best? When most people think about robot vacuums, they think of the Roomba. These little devices have been around for quite a while now and have only become more and more impressive as newer models have been developed. Many Roomba models now offer even greater features than when they first entered the market. 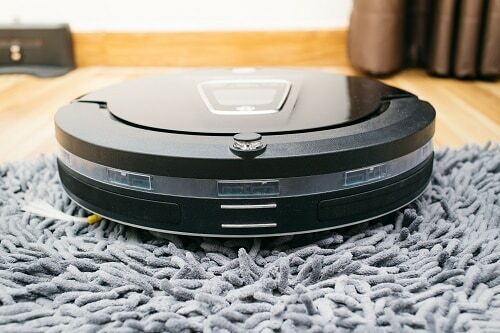 Things like self-docking, higher suction power, and better navigation are some of the things you can expect from a Roomba vacuum. 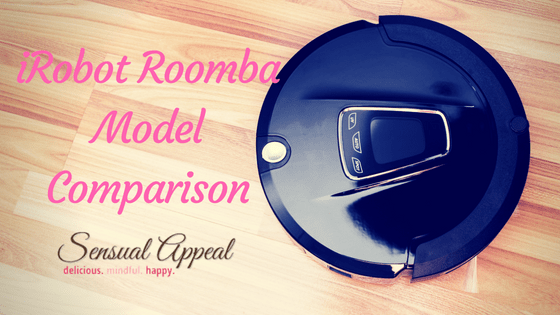 In order to help you choose the best Roomba model to fit your needs, we're doing an in-depth comparison of 5 different Roomba models. Amazon Alexa, iRobot HOME, Clean Map and Google Assistant. In order to determine which of these models is the best, we're going to break down the competition in terms of 5 important features. These will include the suction power offered, the ability to self-charge, the navigation, ability to schedule cleanings and use of Smart Home options like Alexa, Google Assistant and apps that can allow you to control the device. After we have taken a look into each of these features separately, we will count them up to decide which option is the top option in this list. From there, you'll be able to choose which model is the best one for your unique needs. When they began, Roombas were likely not nearly as powerful as they are today. It's also likely that they weren't quite as powerful as standard vacuums at that time. However, these days they offer not only more powerful suction, but also 3-step cleaning that allows them to brush up dirt and debris from corners and ensure that every speck has been cleaned up on a regular basis. Let's take a look at how the models compare! The iRobot 960 offers 5x suction power, which means you can expect this device to be that much more powerful than the more standard, less expensive Roomba models in this list. Generally, you can expect the typical Roomba to do just fine on hard flooring and lower carpets, but if your carpets are a little thicker, a 5x suction option is going to be the ideal choice. Like the 960, the 890 also offers 5x suction power. This is going to be helpful in homes that need a little extra power. Whether it's for higher, thicker carpets or households full of pets or foot traffic, these machines can be expected to offer more capability than the more standard models. If you want something that will get the job done, it may be a good idea to consider buying more power than you need rather than less. The model that really stands out in this aspect is the 980. It offers a whopping 10x the suction power that you'll find on standard models, which is nothing to sneeze at! Because of that, this little machine is going to be able to stand up to tougher cleaning than other models in this list. It's truly a powerful little device that will be able to keep up with messes and pet hair all over your home. Another great option available to you is the Roomba 870, which offers similar cleaning power to the 890 and 960. For most households, this is really going to be the most ideal option. Many find that it has no trouble keeping up with dirt, hair or debris around the home. Ultimately, the choice is going to depend on your unique household when it comes to choosing the perfect Roomba model. For those who have shorter carpet or mostly hard flooring like linoleum, tile, wood or similar kinds of flooring, the 665 is likely to work perfectly well. It doesn't come with the additional suction power that the others do, but is still a pretty decent little machine. It is worth noting that if you are on a tight budget, there are some alternatives out there that can compare to this device as well. Winner: When it comes to suction power, there's no beating the Roomba 980. 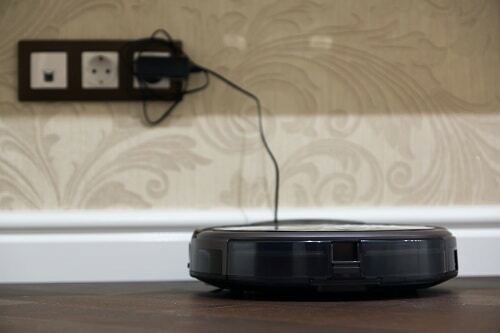 Most Roomba vacuums are able to detect when their battery is getting low and dock themselves for recharging accordingly. However, not all of the models will know to restart afterward if the cleaning task isn't finished. Because of that, it's important to know what each model offers when it comes to docking, charging and restarting depending on the status of their tasks. The 960 is a great choice in that it's able to detect when the battery is low. At that point, it will return to the dock in order to charge itself back up. That in itself is really great for those who don't want to have to babysit the device. Another great aspect is that if the cleaning hasn't been completed prior to recharging, the 960 will start up again and get back to work all by itself. While the 890 will absolutely dock itself when it needs a good recharging, it's not likely to start again once the recharge is finished. Because of that, it's important to make sure that the machine is charged fully prior to starting a scheduled cleaning. The good news is, the battery life should allow for it to cover most average-sized homes before needing a recharge. 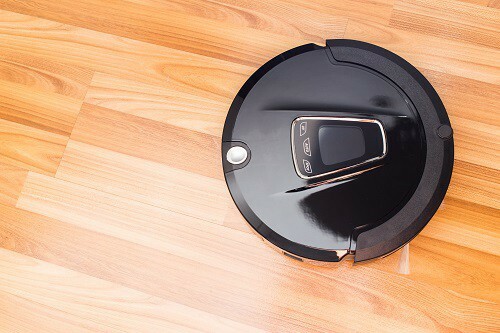 The Roomba 980 is a powerhouse when it comes to the battery life, but if it is handling a particularly large job it may need to take some time to recharge in the process. Luckily, you will be able to trust that it will continue the job once the charging is finished. That way, if you have it set on a daily schedule then it's going to be able to take as much time as needed to get that job done by the end of the day. Like most Roomba models, the 870 is able to return to the charging dock when it is in need or a recharge. However, it's not one of the options that will be able to start up the cleaning again if it hasn't finished a task. Because of that, you'll need to start it again after it has had some time to charge so that it can finish the work you needed from it to begin with. The Roomba 665 is one of the more basic models, and therefore won't have the ability to restart itself to get back to work after a charge. However, it will be able to return to the dock to charge itself as needed. Just make sure that the dock is easy to get to and is set up to be stable, otherwise there can be some issues with the Roomba accidentally pushing the dock rather than connecting. Winner: The Roomba 960 and 980 models win this section due to their ability to restart after recharging themselves to finish a task. Typically speaking, Roombas won't have too much of a problem getting from one place to another. That said, some models are able to do it better thanks to the addition of the Visual Localization feature. However, even models without that feature will be able to get around and avoid ledges without too much of a problem. Many Roombas are built with excellent navigational skills so that you can trust they'll be able to get around your home easily. The 960 offers Cliff Detection capabilities, the standard iAdapt navigation offered on Roomba vacuums as well as Visual Localization to add to the ability for the device to get around. Due to this, it will have a little bit easier time than Roombas that don't offer visual features. The Roomba 890 is a little bit less costly than the 900-models. Because of this, there is a concession that is made in the lack of Visual Localization as part of the navigational features. However, you will still have access to both the iAdapt navigation and Cliff Detection. These often work well enough for helping the device to get around your home in most cases. Like the 960, the 980 uses Cliff Detection, iAdapt and Visual Localization to travel around the home. Combined, these features allow it to avoid falling off cliffs or stairs if it's working on a higher level of the home, avoid ramming into walls or furniture and be able to clean under furniture decently. It's almost as if it can actually see the world around itself. With regard to navigation, the 870 will also use the iAdapt and Cliff Detection features that Roombas tend to have. So, it may not be quite as accurate as the models that also use Visual Localization, but it should still be able to move around your home well and keep itself from falling down stairs or other types of ledges. As one of the more basic models, the Roomba 665 does use iAdapt and Cliff Detection in order to get around the house safely. It may be less likely that the models without Visual Localization can travel in straight lines as easily, but they still manage to get around quite well. Roomba certainly isn't going to send you off with a device that can't make its way around your home. Winner: The Roomba 960 and 980 will be able to get around a little bit better, due to their addition of Visual Localization. 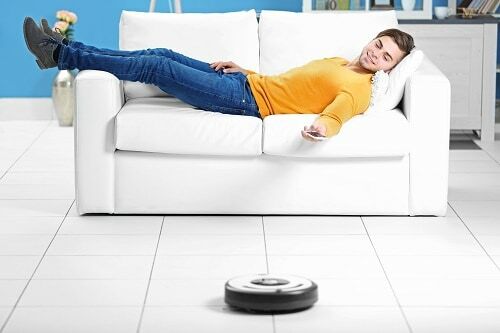 Generally, there may not always be a large concern for the battery life of Roomba vacuums due to the inclusion of the self-docking feature. However, this can depend on the size of your home as well as whether or not you purchase a model that is able to restart itself after the recharge. The battery life available on the 960 is pretty decent. A full 75 minutes should give the machine enough time to clean most homes of an average size. However, if that isn't the case for your home then you will be able to trust that the machine will be able to dock itself for charging and then finish the job afterward. At about an hour and fifteen minutes at a time, it will surely have everything clean in just a few bursts at most. The battery life on the 890 is quite impressive, offering about an hour and a half before it needs to return to the dock for recharging. That's going to allow for it to have a better chance of completing the job before it runs out of battery life. This is great because it isn't one of the machines that will restart after charging if it was in the middle of a task when the battery became low. The Roomba 980 offers a solid 2 hours of battery life before it needs to be recharged again. This is really great for those who have larger homes or who want the machine to do a very thorough job. This is definitely the highest battery life that you can expect from the models on this list, so if battery life is a huge factor for you, the 980 is the way to go. When it comes to battery, the 870 may not offer as much as some other models but you can still get a good hour from it. This is going to work perfectly well for smaller homes, condos and apartments that don't take too long to get a thorough clean. If it needs a little more time than that, you can always restart it after it has had some time to recharge. There isn't much information available when it comes to the battery life on the Roomba 665. This is largely due to the ability that it can recharge itself as needed so there isn't as much of a concern for how long the battery lasts. However, based on the times set for the other models in this list, it wouldn't be unreasonable to believe that the 665 probably offers a battery life of about 90 minutes or less. Winner: The Roomba 980 tops out the battery life expectation, with a full 2 hours of battery life before the need for another charge. For the most part, Roomba models tend to be able to make use of iRobot Home at the very least. Less expensive models may only use that connectivity option while those that are more expensive may add in more options like Clean Map, Google Assistant and Amazon Alexa. It's going to be up to you what options you want to have for controlling the device. 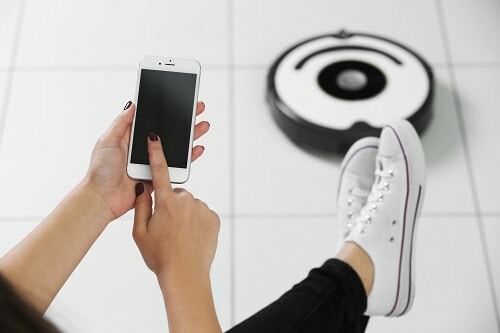 There are a number of ways to connect to and control the Roomba 960, including Amazon Alexa, iRobot HOME, Clean Map and Google Assistant. That way, you'll be able to start the machine, set schedules and more in a variety of different ways. This is perfect for those who want to be able to control their Roomba without so much as a touch of a button. While the 890 doesn't have quite as many connectivity options as the 900-models, it still gives you plenty of ways to control the device, including Amazon Alexa, iRobot Home and Google Assistant. That way, you won't have a problem with setting the device to meet your needs. However, it may not have access to the Clean Map option. The 980 offers many ways to control the machine, such as Amazon Alexa, iRobot Home, Clean Maps and Google Assistant. There's really no shortage to the methods you can use to control the device and set it to work as you need. No matter what device you decide to use with it, there will be plenty of options available to handle your Roomba. The Roomba may not have access to all the different apps and connection possibilities of many of the other models, but you'll still be able to use iRobot Home to control the device, set schedules and handle settings as you need to. It is a more simplified option, but still offers you a pretty easy way to set the device the way you want it. Like the 870, the Roomba 665 isn't going to have as many of the connection options as the more expensive models. That said, it will give you ways to set schedules and otherwise control the device. You may be able to use iRobot Home with it, but it likely doesn't have access to things like Alexa or Google Assistant, which can be a problem for those who prefer the high-tech options. Winner: Both the 980 and the 960 will be able to provide access to the most connectivity options, making them the winners of this section. Winner: The overall winner is the iRobot Roomba 980. This option offers the same kinds of connectivity options, navigational features and self-charging and restarting capabilities. However, the 980 also has an edge due to the longer battery life and suction power. It's absolutely going to be the ideal option for those who want something with more power, or for a larger home that takes longer to traverse. If you're looking for something less expensive, the other Roomba models available also have a lot to offer. For the most part, they just have fewer bells and whistles than the 900-models. Because of that, it's important to take your time to figure out which features are most important to you and work from there.